As I woke up this morning at 34 weeks pregnant (written 8/6/14), I had a lot on my mind (as I have my entire pregnancy). I realize that I am so close to having this baby and our lives are about to change forever. I wanted to share some thoughts as I come to the very end of my pregnancy journey. -I have really enjoyed being pregnant. I didn't know if I would be one of those people that love it or hate it but have enjoyed seeing my belly grow, feeling the baby kick and planning for all the changes to come. -My husband is amazing. I guess I already knew this but especially from 20 weeks pregnant and beyond, he has been incredible. He helps out with so much around the house, listens to my every little thought/concern/worry, etc. He is so excited to be a dad and has even been practicing swaddling, diaper changing and baby carrying- it is hilarious to watch. I am so, so thankful for his support and could not have done this without him. -Thoughts on weight gain- When I was first pregnant, I wrote a post about "Thoughts on Pregnancy Weight Gain". I am amazed with myself how okay I have been with the changes my body has endured. I have not been feeling "fat" or anything like that and have been so excited watching my belly grow. I didn't know how I would mentally handle this big change but honestly, I have loved it and will probably miss my belly once it is gone. -Wow, the emotions. In the last couple of weeks, I have been an emotional mess. There has not been 1 day in the last week where I have not cried over something. I feel so sensitive. I know it is just the hormones but it's crazy how much I cannot control my feelings at times. 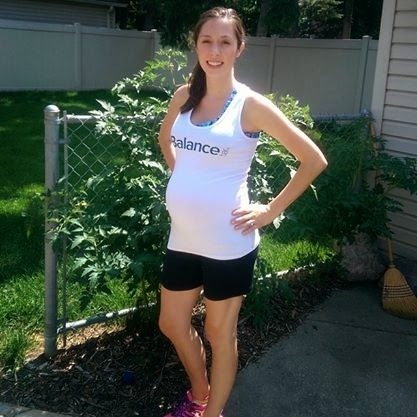 -I am thankful to have been able to stay active my entire pregnancy. In the last couple of weeks, I have slowed down a lot and my daily walk has become more like 1-1 1/2 slow miles but it is better than nothing. Exercise has helped to feel my best each day. I credit it for keeping my symptoms minimal. 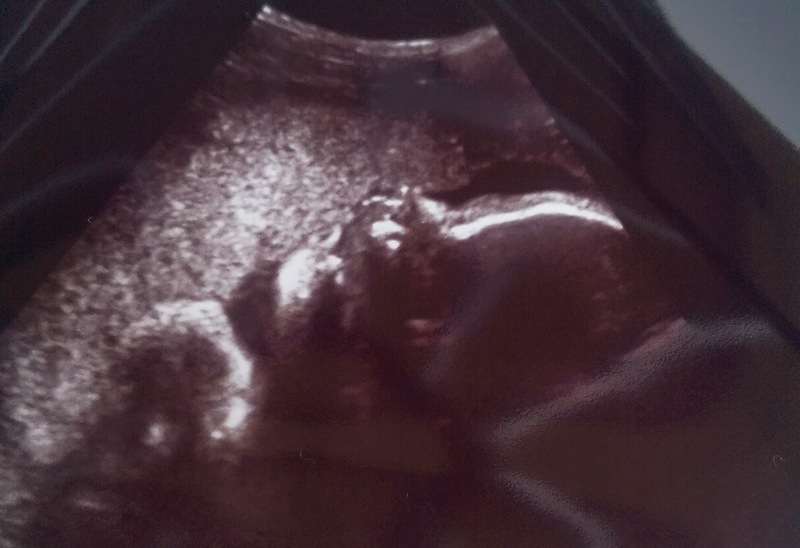 -I can't wait to meet my baby!! I want to see what she looks like, what color hair she has, hold her, etc. -I am nervous to be a parent! I'm sure that every first time parent feels this way and what has helped me to feel more confident is taking a birthing class, baby care class and watching newborn videos with my husband. Knowing that he will be helping me and is so into everything makes me a lot calmer about the changes that are to come. -The nursery is 95% done! I will share photos soon. It is pretty much dachshund themed- I know that no one is surprised about this. -I am still working 4-5 days per week. My work has very generously given me the opportunity to work from home on some days which is amazing! I usually get very tired at the end of the day of work and am looking forward to my maternity leave. -I am not very scared for labor. My thoughts have changed on this recently. I was very nervous at first for this but now feel so much better. I plan to labor at home as long as I can and walk around to get things going. At the hospital, I plan to get an epidural which I know will help with a lot of the pain. Women were made to carry and birth babies so I feel empowered that I can do this (ask me if I still feel this way when I'm having contractions- haha!). -I have felt better than I thought I would for the 1st and 2nd trimesters but the 3rd trimester has been tough. I have been a lot more worn out, uncomfortable, slow, feeling sick, pain, Braxton Hicks contractions, etc. Right when I hit the 3rd trimester, it was like a switch flipped. I have good days and bad days though. -I worry about the transition to becoming a parent and losing time for the things that I enjoy. I worry about not having enough quality time with my husband which is so important to me. The good thing is that we have talked about this a lot and know that it is a priority to both of us to keep the romance alive and keep our marriage strong. Having this in mind, I know we will both make a good effort to keep things good. -My Type A personality has me knocking things off my ever-growing to-do list like crazy to get ready for baby. I have just a few more things to get for her, pack my hospital bag, make freezer meals, etc. I have been organizing the house and Troy has been doing house projects to get ready for the baby. We can't wait! I wanted to share this update with you in case I go into labor early so I don't forget some of these things. My mom delivered my siblings and I a month early so that is in my mind that I could be having this baby in just a couple of weeks. Wish me luck with these changes in our lives. I can't wait to meet my baby girl! Best wishes to you and hope your giving birth experience will be wonderful. Enjoy your baby girl when she arrives! Girl, you sound ready!!! Of course nothing can prepare you for the craziness, but I always am a fan of doing what you can to make it through those first hard weeks, which are TOUGH. On the making time for hubby and yourself, you'll get there eventually. There is nothing like parenthood to make you fall in love and bond over something completely new and beautiful. So excited for you to meet your precious little lady!